Gov. Chris Sununu and NH Attorney General Gordon MacDonald submitted an amicus brief in the case of South Dakota v. Wayfair, to be heard by the Supreme Court on April 17th. 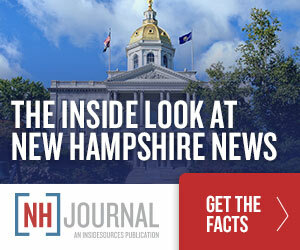 New Hampshire’s entire congressional delegation has also urged the court not to force small businesses in sales-tax-free New Hampshire to collect taxes on behalf of other states. Pro-free-market groups like FreedomWorks, The Institute for Policy Innovation and Americans for Prosperity have also filed an amicus brief on behalf of online retailer Wayfair and its fight to avoid collecting taxes for states where it has no “physical presence”–the standard set by the Supreme Court 26 years ago in the Quill decision. Anti-internet-sale-tax advocates may be facing an uphill battle, however. New Hampshire is just one of five states with no sales tax. The state of South Dakota argues that their lawsuit is necessary to “save Main Street,” an argument that appears to resonate with President Trump–particularly in his current political battles with Jeff Bezos and Amazon.com. In the end, it may all be about the Benjamins. Americans spent almost $120 billion online last year, and the 45 states with sales taxes claim they could collect around $26 billion a year in taxes on online and direct-marketing sales. There will be a lot of pressure on the Court to give states access to all that out-of-state cash.